Add smart functionality to your appliances with the round white SmartThings Outlet from Samsung. This three-prong outlet runs on the ZigBee protocol and is capable of being placed 50 to 150' away from your Samsung SmartThings hub. Through your smartphone you can control devices like lights, coffee makers, crock pots, air conditioners, fans, and more. It also functions as a ZigBee repeater, giving your other ZigBee devices extra range. 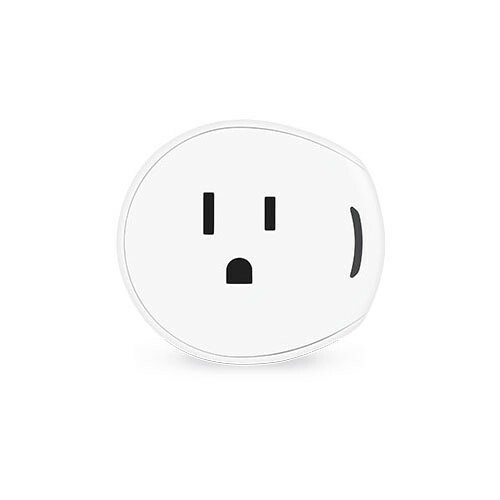 Box Dimensions (LxWxH) 3.5 x 3.0 x 3.0"
SmartThings Outlet (Round, White) is rated 4.0 out of 5 by 1.
will this work with goggle assistant?